Christmas trees, even commercial ones, are decorated with simplicity. They all look like they were decorated by a cheerful child with very good taste. 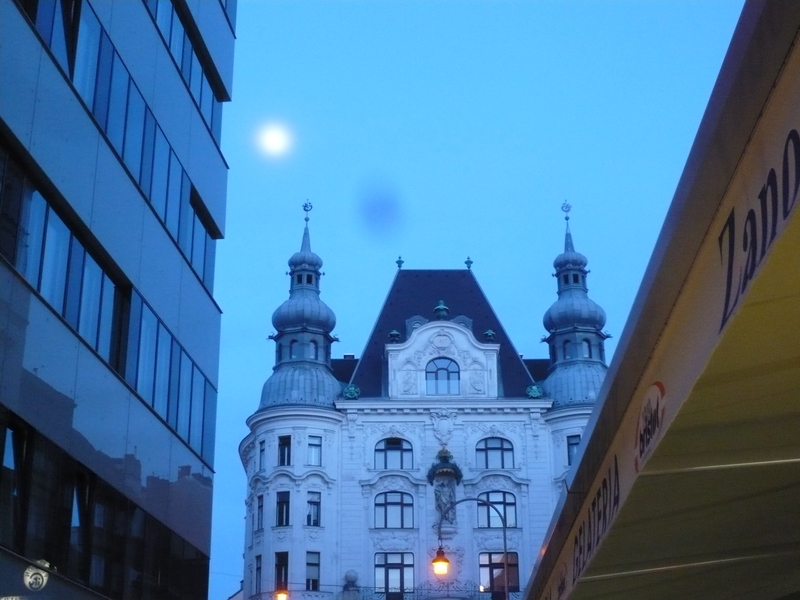 The moon rises over Baroque buildings, coexisting with all that is hip and modern. 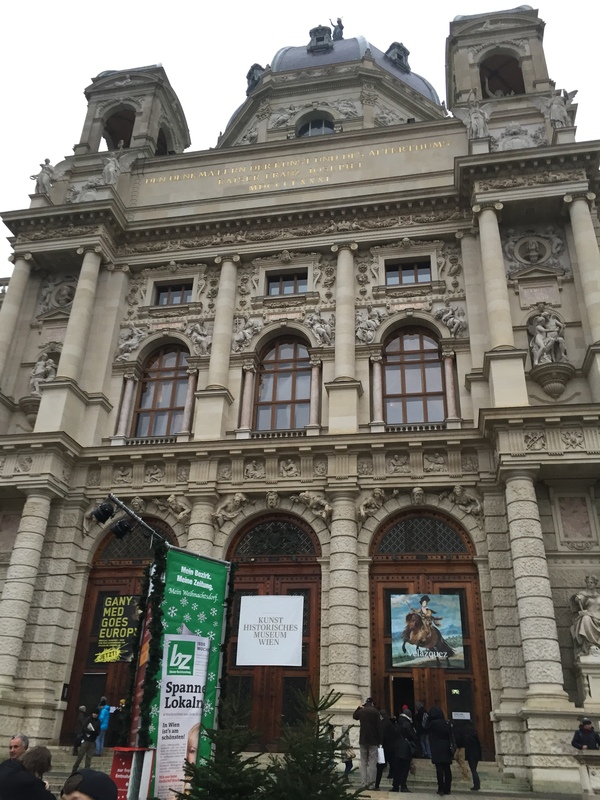 The Kunsthistorisches Museum is packed with masterpieces. 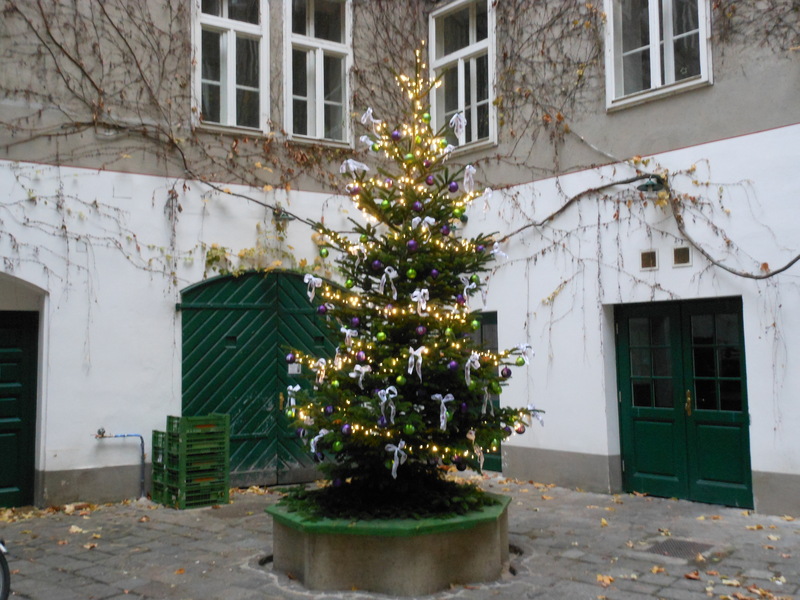 Just outside the doors of the museum, there’s a Christmas market. A grand statue of Empress Maria Theresa presides over the square. She did more than almost anyone else to consolidate and increase the wealth and power of the Habsburgs, who built a huge part of the Vienna we see today. Maria Theresa worked hard, but she always enjoyed a good party. I hope she’s enjoying the holiday season! 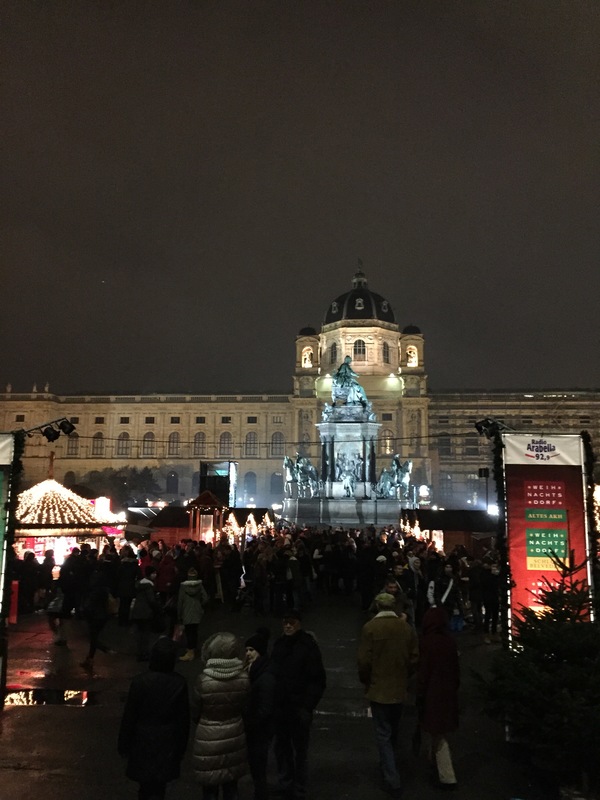 This entry was posted in Austria, Vienna, Vienna at Christmas and tagged Empress Maria Theresa, Vienna Christmas markets, Vienna Kunsthistorisches Museum on November 29, 2014 by Claudia Suzan Carley.